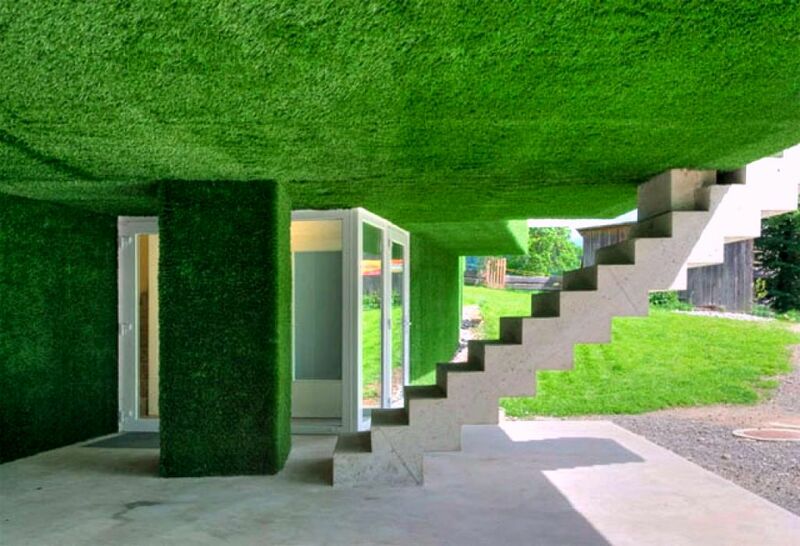 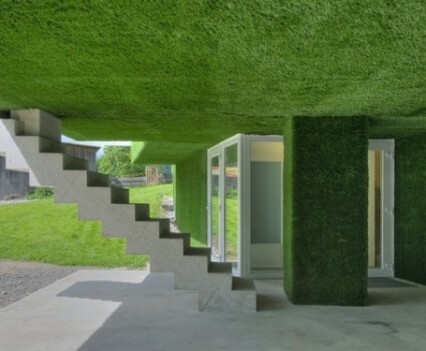 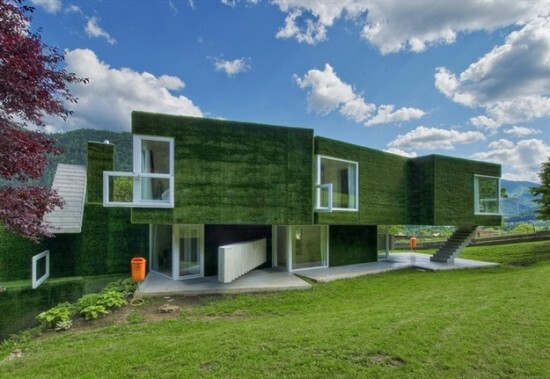 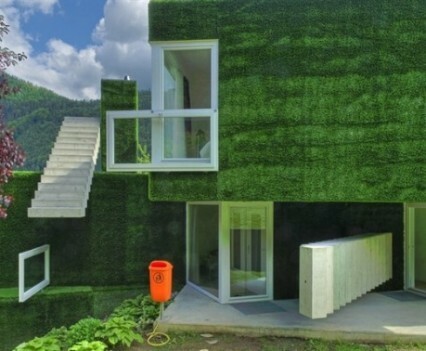 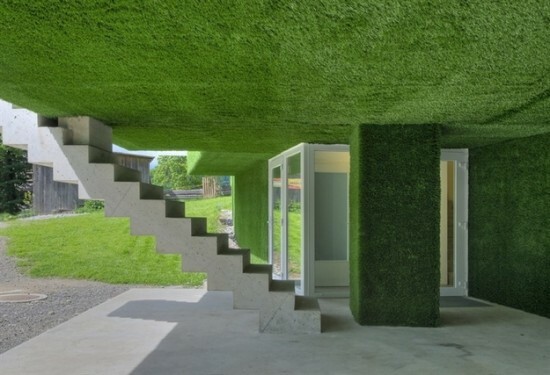 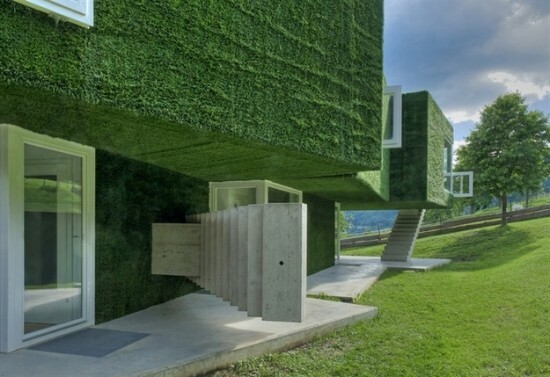 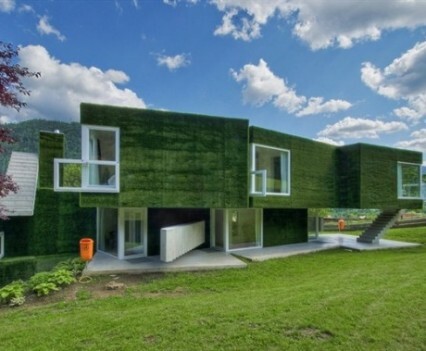 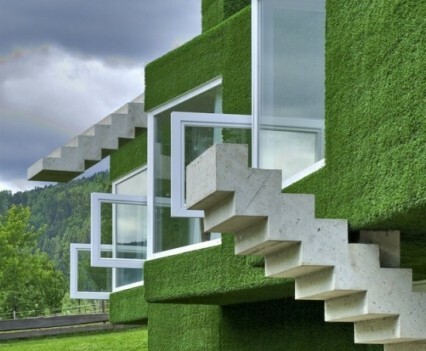 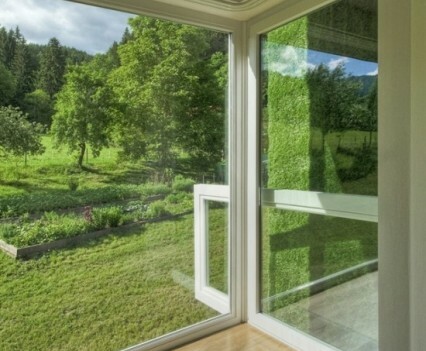 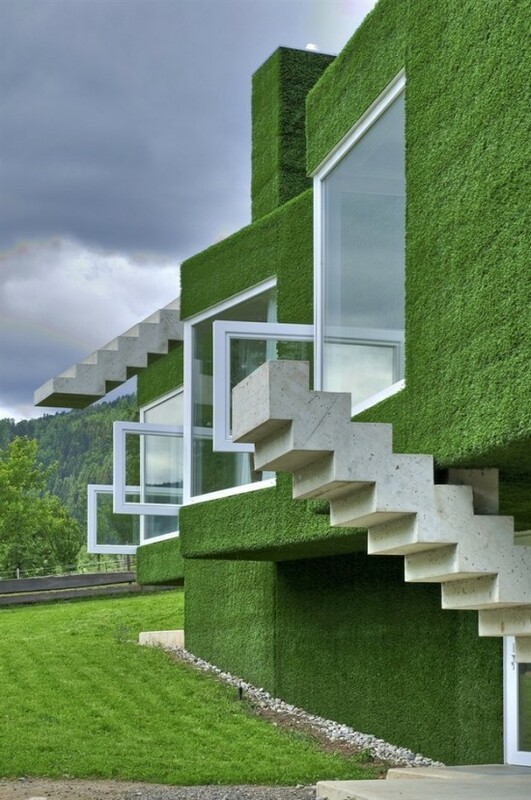 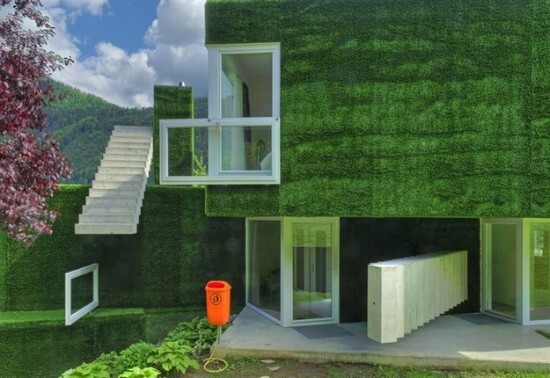 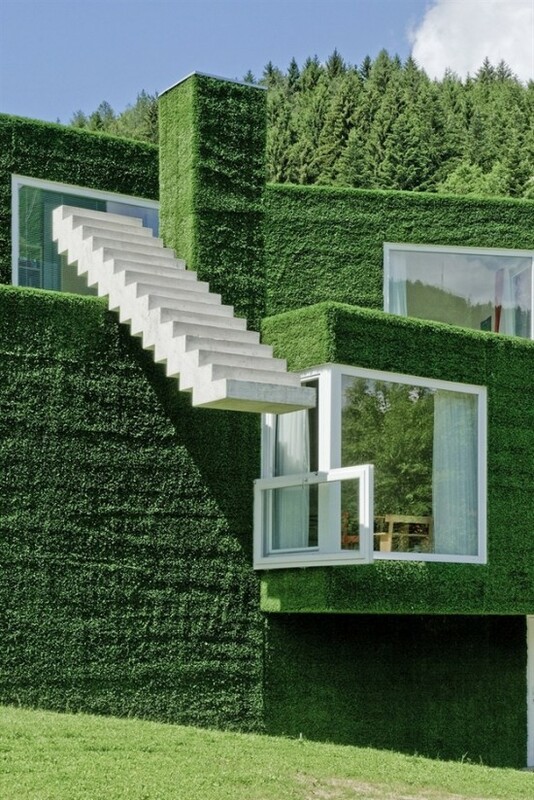 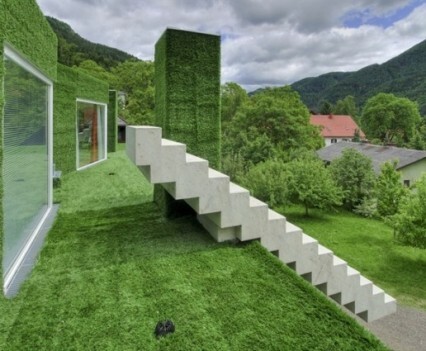 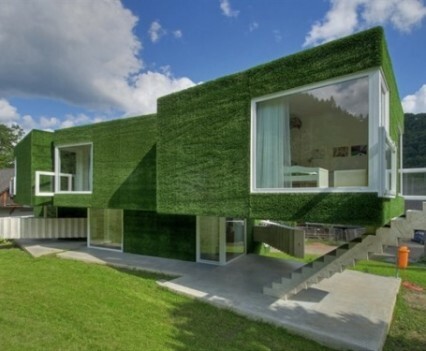 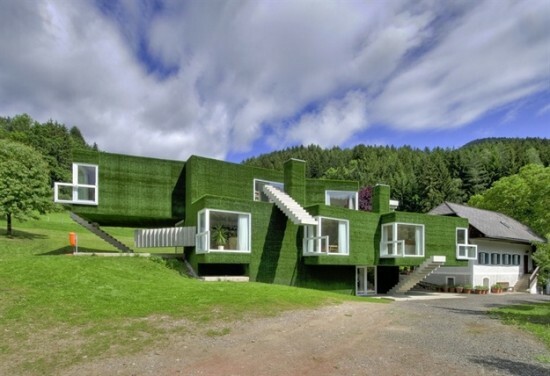 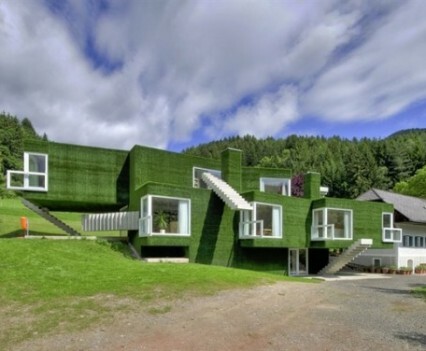 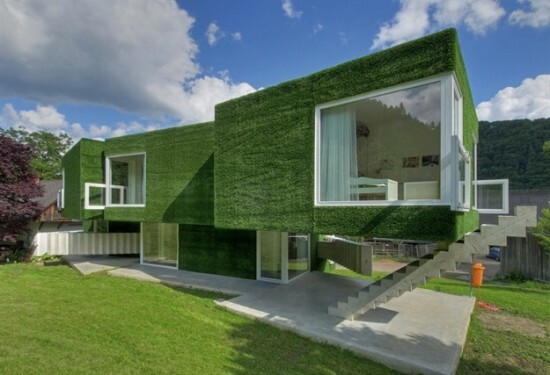 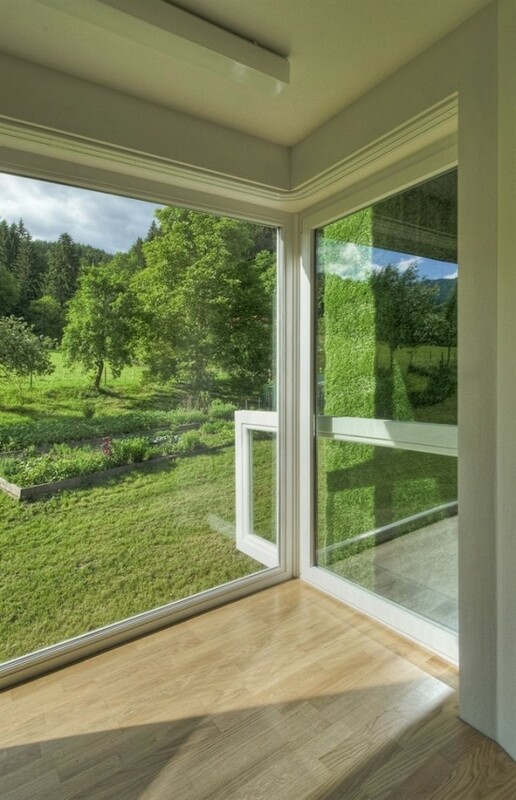 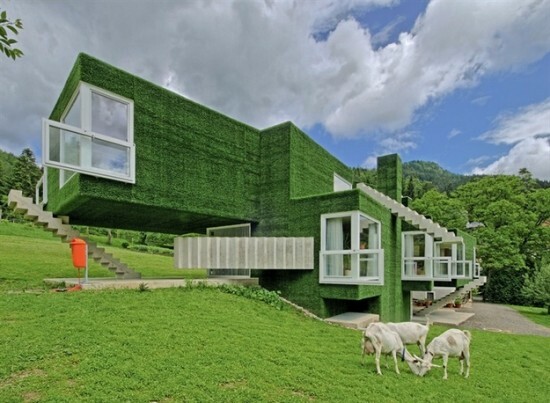 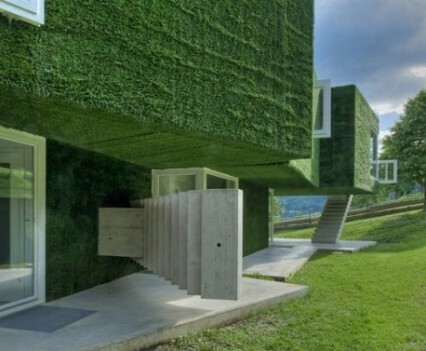 Designed by architects Weichlbauer Ortis, this astro-turf clad home in Frohnleiten, Austria may initially appear to have been designed to blend seamlessly with its hillside surrounding. 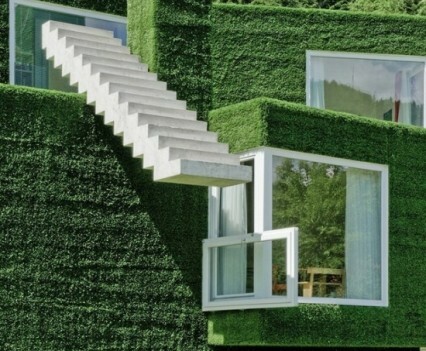 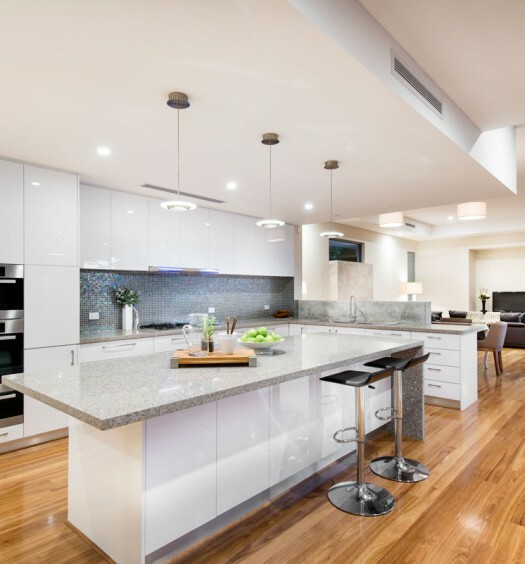 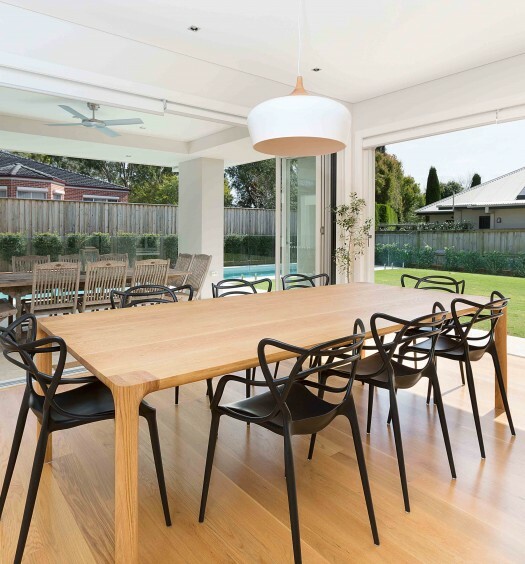 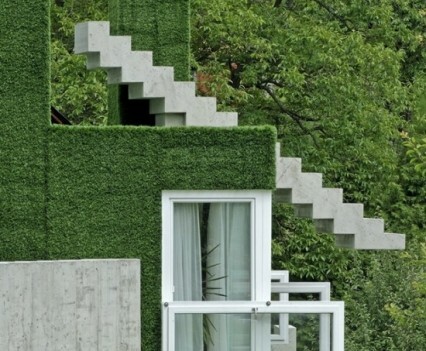 A closer look however, reveals a lot more that is unique about this contemporary home than its green exterior. 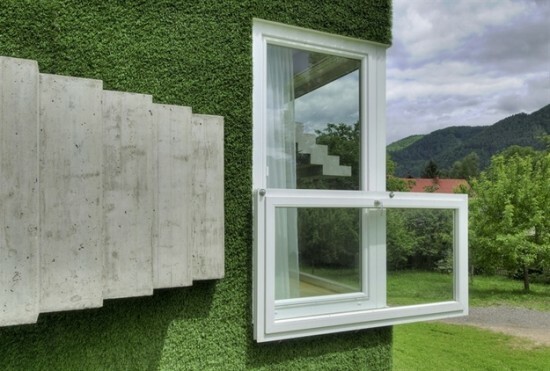 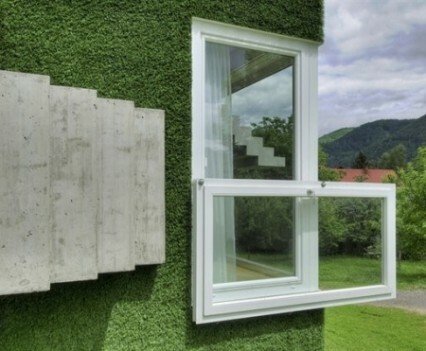 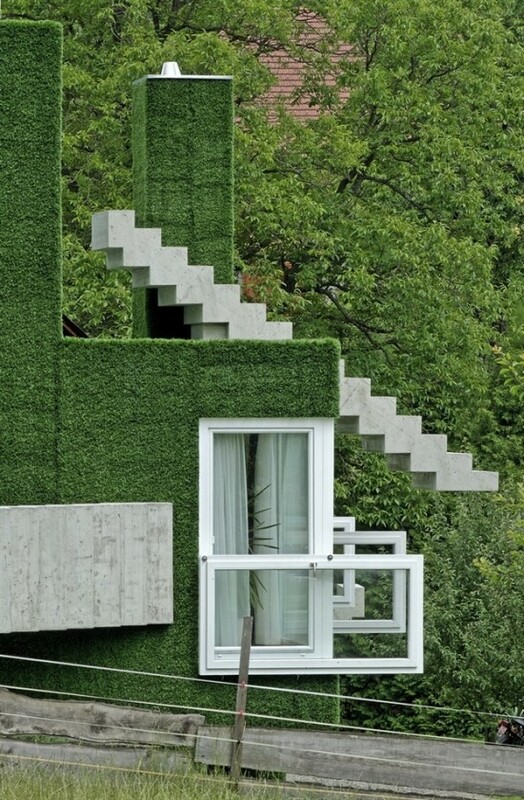 Concrete staircases placed both horizontally and above ground level lead to nowhere and windows attached to windows project outwards creating a puzzling façade like something befitting of Willy Wonka or Dr Seuss. 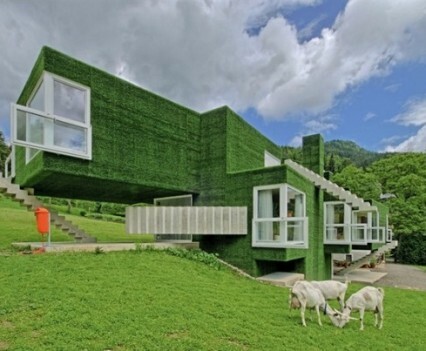 Alongside this bizarre home, two-headed goats may appear more normal.